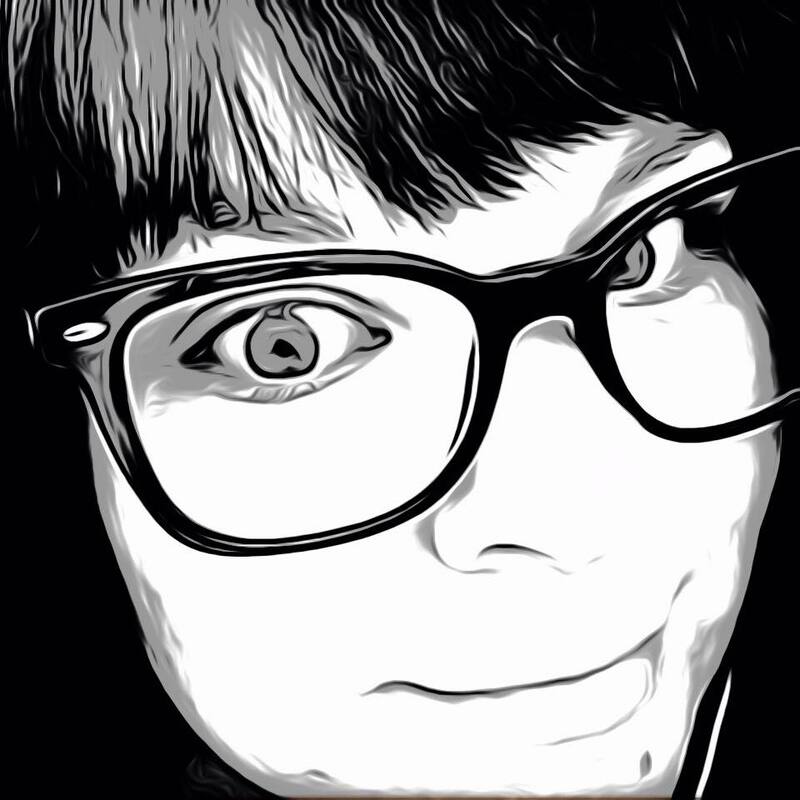 Make a list and share it with the world on Lili. Lists are the simplest way to share what’s important in a concise and visual experience. Share and promote your knowledge and favorite restaurants, reading lists, movies, places you’ve been…or things you desire in life. 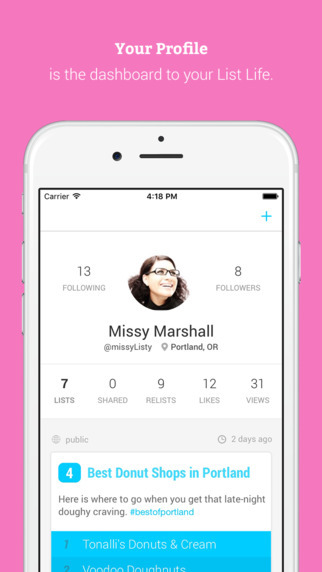 – Public or Private: Share your lists with the world, or keep them private among just a few friends. – Promote the things you care about within the Lili community. – Publisher friendly: Create and share SEO friendly web and app lists. – Follow people of interest and find out what matters the most to them. – Receive notifications when new lists from people or topics (#hashtags) of interest are created. Lili stands for live life, list life. The best way to discover the important things in life to other people is to share lists, ranked and recorded by people you know. You can start your account by signing in with Facebook or registering an email address. Create a new list by tapping the plus button at the bottom, middle of the screen. Add your title, description, category, cover image and location. Set the visibility to private or public, if private, add any other members that you would like to see the list. Now start adding your list items. Each item can include details, an image, URL, address and/or date. Lili Social lists can be viewed by the world, or just the people you choose. They can be personal things about you and what is going on in your life, or just your favorite movie characters. Add as little or as much detail as you want to each list and your followers can agree or disagree with the individual list items or re-share the entire list. Like other social media outlets you can follow people of interest and see what they care about. Create and share your lists to the web, Facebook, Google+ and Twitter. 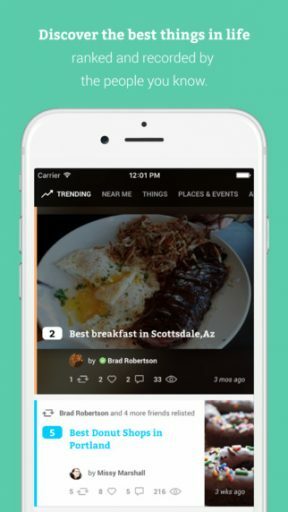 View and discover lists organized into feed categories; Trending, Near Me, Things, Places & Events, Arts & Entertainment and People. Search lists, people, hashtags and by location. Lili Social puts a unique twist on social sharing. The app is very easy to use and beautifully laid out. 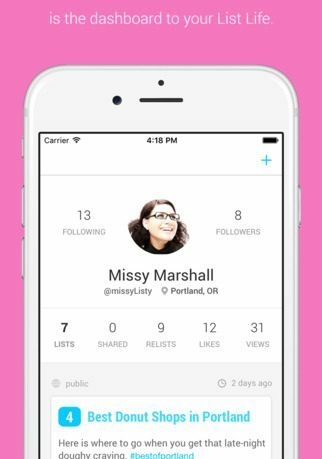 It is the perfect app for those that like to overshare, but in the most organized way possible. Download Lili Social now in the App Store for free. Why only 90? The whole Article seems to praise Lili, with no negative comments.